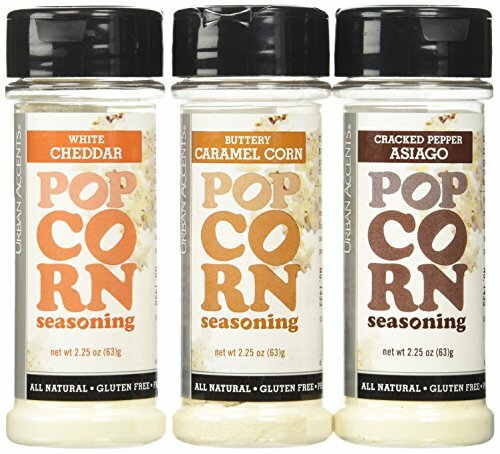 Urban Accents Popcorn Seasoning, Buttery Caramel Corn/Cracked Pepper Asiago/White Cheddar, 2.25 oz. (Pack of 3) by Urban Accents at 365 Days Of Kindness. MPN: ZZUA1430,1433,1435 1 EA (3 PACK). Hurry! Limited time offer. Offer valid only while supplies last.